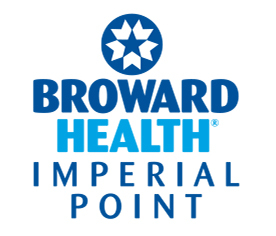 The orthopedic surgeons at Broward Health Imperial Point are dedicated to providing you the latest options in joint replacement surgery so you can get back to your daily activities with the shortest recovery time possible. One surgical technique available at the Joint Replacement Center is the anterior approach to hip replacement surgery using the Hana® table, which allows the surgeon to reach the hip joint from the front of the hip as opposed to the side or back approach. With the anterior approach, the hip can be replaced without detachment of muscle, leading to a faster recovery for the patient. Another technology available at the Joint Replacement Center is computer-assisted technology to perform total knee replacement surgery. This advanced technique enhances results and recovery of a total knee replacement by providing more accurate placement and alignment of implants. The experienced team at the Joint Replacement Center includes highly trained orthopedic surgeons, medical director, anesthesiologists, pharmacists, RNs and patient care technicians, a clinical nurse specialist, physical therapists/aides, orthopedic technicians, nutritionists, surgical and perioperative team members, case managers and program coordinator.